Plain X-rays are fundamental to bone and joint assessment. They are quick to perform, are widely available, are inexpensive and are excellent at providing an overview of the joint in one plane at a time, making them a useful screening tool for arthritis or when looking for fractures/breaks. All patients who see Mr Freedman should have a recent (within the last 6 months) plain X-ray. Unfortunately many GPs launch directly into sophisticated imaging but a simple plain X-ray provides very useful information and is just about always recommended. If you have not had a plain X-ray please contact our office and an a X-ray request slip will be sent out to you. It is, however, correct to say that many early joint conditions are very subtle and may require a range of investigations to help arrive at a diagnosis. Plain X-rays are also not good at visualising soft tissues or cartilage and so if the plain X-ray does not reveal the problem additional imaging may be indicated. Mr Freedman may request a CT scan to better view the bony anatomy of your hip and an special MRI scan to study the cartilage, labrum and other soft tissues of your hip. CT scanners take multiple X-ray ‘fine slices’ in a very short space of time. The multiplanar images of bones and joints that result are very detailed. Mr Freedman may request further sophisticated processing and analysis of images into a 3-dimensional model that can be rotated to allow analysis of 3 dimensional shape of your hip. The MRI scan is usually obtained with a special intravenous contrast agent to show up subtle soft tissue abnormalities. The quality of the information gained from these scans is highly dependent on (1) The quality of the scanner on which the scan is performed, (2) The skill of the radiographer/technician who performs the scan and (3) The experience of the radiologist who reports the scan. Unfortunately there is wide variability in the quality of all these variables. 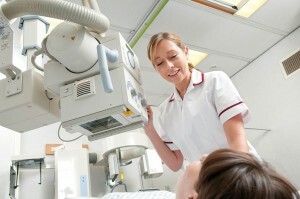 Mr Freedman therefore advises to preferably have your scans done at certain carefully selected radiology centres. We will provide recommendations to you based on your location. However, if you have already had scans organised by your GP please consult with Mr Freedman so that we can try avoid any unnecessary repetition or unnecessary additional xray exposure.